Is this the ultimate security suite? Offers anti-theft features for the Android, iOS and Windows platform. Optimization tools available for the Windows platform. Our research shows that Bitdefender Total Security is the perfect option for users who want every single security component and feature in a single and well-integrated security package in addition to all the bonus features. There are a lot of security companies on the internet that provides users with a basic and barebones security suite. Apart from that, they add a much higher level and more expensive security suite by using a total of two methods. Some companies use the method of creating a security mega-suite with the addition of advanced features for computers using the Windows operating system such as system performance optimizations tools and online backups. Then there are those security companies that try to do the same by offering cross-platform capabilities by adding full support for platforms such as iOS, Android and macOS. Our research shows that as far as BitDefender Total Security is concerned, it goes a bit of both ways. When on the Windows platform, Bitdefender Total Security offers users anti-theft and system optimization tools. It also enables users to install full-blown and comprehensive protection for the user’s Android and macOS devices. However, it keeps its support on the iOS limited. Regardless, our conclusion is simple and clear. Bitdefender Total Security is the best online security mega-suite that money can buy and works equally well on any given platform. Bitdefender charges users around $89.99 each year for its services. Users have the option of adding its protection on a total of five devices. However, users who want to use Bitdefender Total Security on a broader basis can raise their limit of simultaneous devices to a total of 10 by raising the base price to just $99.99 per year. Comparing that with other security suites such as Kaspersky Total Security and we find that Kaspersky charges the same amount of money but only offers users a total of five licenses. There is also Norton Security Premium that charges users $109.99 per year but allows users to connect up to 10 devices in addition to 25GB of online backup hosting service. Needless to say, the pricing model that Bitdefender makes use of neatly sits in the exact middle of the industry average. Perhaps this is a good time to mention that users who have this need of managing a ton of internet-enabled devices, the best option for them is to sign up for McAfee Total Protection which costs users around $99.99 each year and protects an unlimited number of devices on the iOS, Android, mac OS, and Windows platform. As should be the case with a security product that doesn’t have any limitations in terms of supporting platforms, users can activate their Bitdefender subscription by simply entering a code via an online console available in the official Bitdefender Central area. Once the Bitdefender security product makes an appearance in the user’s console, the user has all the opportunity in the world to install the product’s protection on any system that he/she is using. If that doesn’t sound cool enough then users can also send an email that has an official link to the installation procedure on some or all of his/her other devices. Once the user clicks on the installation link which is in the sent email, the link would automatically download the relevant Bitdefender installer file which is suitable for the operating system that is active. As far as the looks of the product is concerned, it looks pretty much the same to the official Bitdefender Internet Security on the Windows platform. Apart from the application’s window title, the only significant difference is that Bitdefender Total Security offers users a total of four useful utilities via its Utilities page. In Bitdefender Internet Security, users see an invitation to purchase an upgrade instead of the options themselves. Moreover, the official Bitdefender installer also takes liberties to add the company’s VPN to the overall installation process. For those who don’t know, Bitdefender has a VPN service that is indirectly powered by Hotspot Shield Elite by AnchorFree. With that said, the VPN does come with a 200 MB daily bandwidth limit. In order to get rid of the limit, the user has to a separate subscription package for Bitdefender VPN. Readers who want to know more about that should read the review that we wrote for Bitdefender Internet Security. Does Bitdefender work better on Windows? Bitdefender does have more optimizations for the Windows platform. If the user has installed the Windows version of Bitdefender Total Security then he/she should go to the Utilities page in order to find a total of three different optimization tools. These optimization tools come in the form of Startup Optimizer, OneClick optimizer and of course, Disk Cleanup. In other to get things slightly rolling, the user should click the option Optimize My Device which comes under the option for OneClick Optimizer. Our research shows that if the user has a decent system then the scan would complete its duties fairly quickly and may also find hundreds of items that the user should then get rid of. The scan usually categorizes the found item in Private Cleanup, Registry Cleanup, and Disk Cleanup. We have already mentioned the fact that the recommended action here is to simply click on the view details button which is present right next to each given category. Some of the disk issues that the user might run could include temporary files along with junk, debug and cache files which may occupy as much as 2 to 3 GB on the user’s hard drive. Our research shows that if the user takes a detailed look into the Registry issues category, then he/she would find that this is the place where Bitdefender reports erroneous and/or useless entries of various different types which include shared DLLs and software locations. 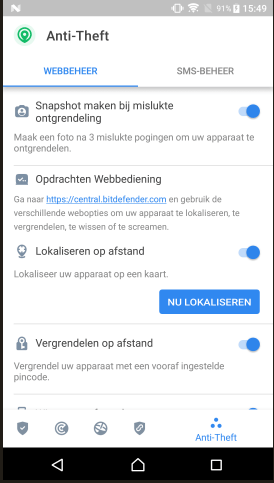 If we turn our attention to the Privacy issues category then there is where Bitdefender takes care of problems related to web browser history, cookies and cache. In order to get rid of all the problems that we have mentioned above, all that the user has to do is to click on the button that says Optimize in order to enable Bitdefender to wipe away each and every issue. Once the Bitdefender Total Security has completed the process, it offers users a detailed report. The report comes in the form of a lengthy and clear HTML document that lists each and every Registry and file change. A lot of other security suites offer users similar components which enable users to preview all the changes while also exempting specific ones. Some security suites reverse a few, some or all of the recently-made changes afterward. The majority of online users would understandably have little to no idea about what to look for in the list of items that may contain hundreds of entries. That is the reason why Bitdefender does not even bother with that and does not provide users either with the undo function and/or the preview function. Many online consumers do not realize this but over a period of time, their computer machines can become quite heavy and cluttered with several dozens of different products that come from developers who clearly think their services are important enough for the user to actually launch at the machine’s startup and also always run as a part of the operating system’s background processes. In the majority of the cases, we have come to find that launching programs and/or services as they are needed is more or less sufficient. Readers should understand that it takes more time on part of the machine to load any and all programs. This is where Bitdefender Total Security offers users the option of Startup Optimizer. It assists users in clearing the clutter that usually exists in great amounts as background processes. Other security suites such as those of Panda Protection and Quick Heal offer users some basic management of their startup applications, services, and programs. However, our research shows that Bitdefender really takes that process and kicks it to the next higher level. More specifically though, Bitdefender Total Security shows the user just how much each of the startup programs is slowing down the user’s start up experience. If the user does go ahead and clicks the Optimize Device Boot option for the very first time, Bitdefender Total Security takes it upon itself to warn the user that he/she would have to reboot so that the service can accurately measure how fast the user’s machine’s apps launch. Once the user has successfully performed a reboot, Bitdefender Total Security displays the amount of time the machine’s boot process took and what percentage of that total time actually involved the machine trying to load all the startup apps. Our research shows that if the user is not working on a virtual machine, and is not a heavy user, then the adjusted startup apps lists may just reduce the boot time of 2 minutes by 1 second. Now, we can assure users that their mileage may vary. The good thing about Bitdefender Total Security in this regard is that users can reversibly enable/disable any given startup application or program. More specifically, this means that the user would probably have to launch the startup program manually on his/her own if he/she really wants it. For those situations where the user finds that the startup programs, services and/or apps are truly slowing down the machine’s progress, the user can simply set some or a lot of them to start loading after a slight delay. Bitdefender provides this feature to users with the aim of dining out the percentage of Bitdefender Total Security users who select Disable, Delay and/or Enable option for each given app. Users who are unable to see the related community data shortly after clicking on the option should give it some time before it finally appears. Some other security suites such as Bull Guard Premium Protection also provide users with similar functioning features. Bull Guard also provides users with a full and complete timeline of all the processes that the user’s machine has to load up at start up time. Symantec Norton Security has a startup manager which is able to report resource prevalence and usage among various other things to Norton users. Our research shows that when the official Bitdefender Total Security Optimizer component searched for useless and meaningless files which were eating up space, the suite’s other tool known as Disk Cleanup sought very large folders and files on the user’s machine. Bitdefender Total Security essentially leaves the user to make the decision whether or not the user needs its features. The official Bitdefender Total Security, more or less, produces reports which include some files which are essential to the operation of the Windows operating system. We’re talking about files such as pagefile.sys. However, it also warns the user that he/she does not have the permission to delete such files. Our research shows that the previous version of Bitdefender Total Security displayed all the results by making use of a pie chart. Or more specifically, a double-ringed colorful pie chart. However, the latest edition does not do that. Instead, it offers users a much more practical and simpler view. Moreover, the latest version does a good job of bucketing all found items into a total of four size-ranges. These size ranges come in the form of 10 MB to 500 MB, 500 MB to 1 GB, 1 GB to 5GB, and more than 5 GB. Again, our research tells us that it would become very hard for users to decide which given file should they consider as unnecessary and hence delete. However, users should probably make the decision of ignoring any and all files that are not present in a document that is familiar to them. This also holds true for files that aren’t in a popular movie, and/or image formats. As it turns out, users can make life a lot easier for themselves when it comes to identifying files if they just sort out all the results via file type. Users who are not confident or sure about a given found file/folder/item, they can easily perform a click on the present search icon in order to examine the item. To take an example, users may find that after they have run a Bitdefender scan on their system, the security suite turns up a file that is 12 GB in size and goes by the name of HiTree.mp4. In such a case, the user should do a little bit of scrutiny. Our research shows that the user is likely to find that indeed the file referred to some movie or something the user was already familiar with. It is also possible that the Bitdefender may just show a part of a file which contains a collection of big files. Whether or not the result is useful, it sure is a nice way to carry out some tests in order to gauge the security suite’s performances. Moving forward, once the user makes the decision of selecting files that he/she finds no use for and confirms the process of deletion, Bitdefender Total Security wipes all those files from the machine’s disk. In the process of doing so, it also bypasses the system’s Recycle Bin function. Now, having some anti-theft features on a hulking desktop computer machine is not really relevant. Because most of the time, the desktop machine resides in the user’s home or maybe in the office that is locked. This is where things like theft are not really a worry. On the other hand, there are modern laptops which offer so much power and potential to users that a lot of companies and individuals eschew the older and bulkier desktop machines altogether. Is that not convenient or what? Well, as it turns out, there is indeed a problem with having a powerful computer and also having the ability to take it wherever one wants to. More specifically, convenience for a thief. Readers should understand that from the point of view of a given thief, stealing such a laptop is very convenient. And in the process of stealing the device, the thief is also taking away the user’s primary machine. If the user has a Windows laptop, then he/she does not need to do anything out of the ordinary to active anti-theft features. If the user clicks on the Explorer Anti-Theft option, it simply takes him/her to the official Bitdefender Central area. This area offers users some buttons via which users can take advantage of various Anti-theft features. 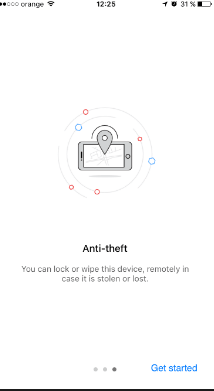 More specifically, this page allows the user to wipe, lock and/or locate the device in question. 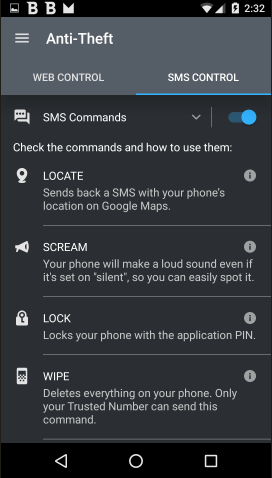 There is also an option to activate a loud sound alarm but that is only available on the Android platform. Whenever the user’s device forms a connection to the internet via a WiFi network, it basically gets the device’s accurate location by making use of the WiFi triangulation feature. Our research shows that this method of ascertaining the device’s location is quite accurate. With that said, when the device has connected to the internet via an Ethernet connection, the software takes the route of falling back on the IP address’ geolocation. This gives much coarser accuracy. Our research shows that if the user is lucky enough, the software would point out the right city. However, we must warn the user that sometimes the software could locate the user’s laptop as much as three miles away from its real location. This holds especially true in flooded natural areas. The fortunate part of this situation is that, any given stolen laptop would almost always connect to the internet via a WiFi network the first time around. If the user clicks the lock button that it should bring up a number of different options. The default settings dictate that Bitdefender Total Security remotely locks the user’s official and active user account and then moves ahead to deactivate all other accounts. Users have the option of choosing to have Bitdefender Total Security snap a couple of webcam photographs as the device is in the process of locking up. 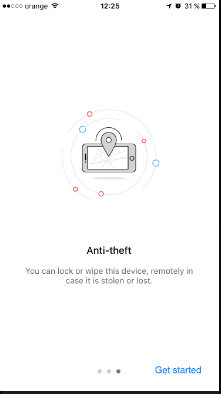 This feature is present so that users have a chance, no matter how small, of getting a mugshot of the person who stole his/her laptop. Now, if the user does not have a password protecting his/her laptop’s Windows account then, first, that’s ill-advised. And second, the user still has the chance of locking the device down with the help of nothing but a small four-digit passcode. In cases, where the user simply forgets his/her password the Bitdefender Total Security security suite allows users to find the passcode again via the Bitdefender Central area. Testing for this feature is somewhat complicated on a laptop that does not come with an account password. Of course, users can always make use of the online console in order to get the passcode and hence restore access to the machine. Well, believe it or not, but that is pretty much it for Bitdefender Total Security’s anti-theft feature. However, if we’re being fair, Bitdefender offers everything that a user would need for a work laptop. We have already mentioned the fact that the option of selecting a loud sound alarm is no available on the laptop platform. It is available on Android though. An average online consumer is more likely to lose his/her Android smartphone device even around his/her own house or office than he/she is to lose his/her laptop. Users also have the option of locating a stolen or lost laptop. Moreover, Bitdefender Total Security can help the user to lock the laptop in order to prevent any kind of misuse. For situations where the user feels the laptop is hopelessly lost and/or unrecoverable, then he/she has the option of sending a neat little remote command which would wipe the whole device. This would effectively keep the user’s data out of malicious hands. Bitdefender Total Security does have protection for the macOS platform. Even the Bitdefender entry-level security suite comes with a parental control system which supports the Mac platform. However, it does so in a slightly weird fashion. Firstly, the Bitdefender Total Security suite installs a free trial version of the original Bitdefender antivirus for macOS. After that, once the user’s device begins to show up in the official Bitdefender Central area, the users has the option of connecting the device with the Bitdefender parental control system. Now, here, readers must understand that even after the Bitdefender antivirus for macOS trial period runs out, the Bitdefender parental control system would still remain pretty much active. As pointed out at the top as well, the Bitdefender Total Security suite is a cross-platform product. With this product, users get to make use of the full installation of macOS version of Bitdefender Antivirus. Not only that, users also get to make use of the free version of Bitdefender VPN. Our research shows that various independent antivirus labs that carry out performance tests absolutely adore this product. And our research shows the same. Especially when it comes to providing protection against phishing attacks. Bitdefender Antivirus can protect users and their files along with their backups from ransomware attacks as well. The company even has a Traffic Light web browser add-on/extension which warns the user of various dangerous website links that may appear in search results. This is pretty similar to how this component works when used on the Windows operating system. The only thing we’ll say in this section is that the Bitdefender Antivirus protection for Mac has ranked pretty well in various best Antivirus lists for Macs. It ranks pretty high for us as well. The only other antivirus for Mac that we think gives Bitdefender Antivirus for Mac a challenge is Kaspersky Internet Security for the Mac platform. 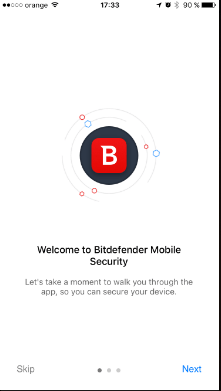 Our research shows that the easiest way for anyone to install the official Bitdefender security app on a device running Android is to go to Bitdefender Central and then send an email to the device. When the email arrives, the owner of the Android device should click the link which is contained with the email address. The link would automatically download the official app from the official Google Play Store website. And when the user is ready to run the app, his/her Bitdefender Central login credentials which are available for use at any time, would come baked right into the whole installation and usage process. In the beginning, users should expect the Bitdefender Security app to lead them through some critical settings and the related actions. Essentially, the user has to give the official app Device Administrator status. That is the only way for the app to actually enable and then implement anti-theft features. 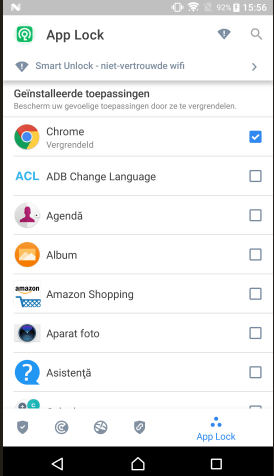 With the Device Administrator status enabled, the app can make use of some other slightly more mundane device permissions as well such as the ability to access the user’s files, media, photos, and calls. The official Bitdefender Total Security app also recommends to first time users to run a complete system malware scam. Apart from that, it also invites users to enable the suite’s App Lock. We’ll talk more about the App Lock a bit later in another section. For now, it is sufficient for the user to know that if he/she enables the feature then Bitdefender gains the ability to snap an image of the person who is trying hard to guess the user’s PIN code for the lock screen. As mentioned before when talking about the Windows platform protection, Bitdefender Total Security offers users an online console using which they can wipe, lock and locate their Internet-enabled device running on Android. However, unlike the Windows version, Bitdefender provides users with an option to generate a loud noise alert. That can come in real handy if the user has managed to misplace his/her phone. Bitdefender also offers users an option to fully invoke one or more of these features with the help of coded text messages. However, it goes without saying that if the user is making use of his/her Android device as a tablet or a podcast and hence does not have a sim in it, then this feature will not work. For the purposes of more security, Bitdefender Total Security only accepts those coded text messages that came from a smartphone device that the user had taken the trouble of previously marking or identifying as a trusted device. Our research shows that the Bitdefender Account Privacy feature has the ability to find breaches that may have happened one or even two years ago such as exploit.in and/or breachComplication respectively. We have also come to know that the official Android app gives good advice to the user to change the official account password. After the user has done that, the app takes away the warning messages. Needless to say, no one will have the opportunity to access the user’s smartphone device if the user has locked that device with the help of a PIN code and/or even a fingerprint feature which is better from a security perspective. With that said, it is also true that if someone is able to pick that phone up while it is unlocked and also when the owner of the phone is not looking, then that someone could and probably would dig real deep into the owner’s personal data and private emails among many other things. This is where the App Lock feature comes into play. It puts an extra amount of security on apps such as Settings, Messages and/or email. In fact, this feature can cover any app that the user wants it to cover. 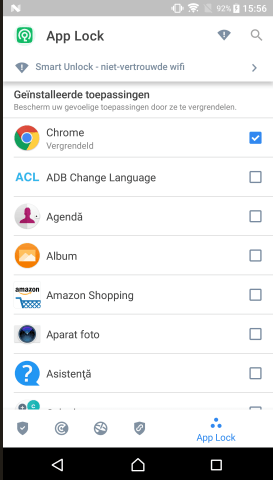 All that the user has to do is to tap in order to select the protected applications. To configure when and how the apps should lock, the user has a couple of options available. The default settings dictate that Bitdefender Total Security would require the user to input the unlocking fingerprint or PIN each and every time the user wants to use the locked app. However, users have the option of changing that to keep the unlocked apps in a state of being unlocked until the device’s screen goes off (such a setting would actually defeat the purpose of the app lock). There are other more useful options as well. Users can permit a short/brief exit/return and return/exit action to not require a second unlock. Apart from that, the user can also set the feature to work in a way that all the apps on the device remain in an unlocked state when the user has connected to a WiFi network that he/she trusts. Perhaps this is a good time to mention that Bitdefender Total Security also manages to apply its robust and powerful web protection feature to keep the user safe from fraudulent and malicious sites pretty much as well as it does on the Windows operating system. Bitdefender takes it upon itself to protect Google Chrome automatically. Not only that, it also has the ability to optionally provide protection to other apps such as Opera, Firefox and even Dolphin. Our research shows that while Bitdefender doesn’t offer the same security extravaganza that it offers to users on the Windows platform, the Bitdefender Total Security on the Android platform is nothing but a comprehensive and robust suite of various useful security components. The Android protection suite includes web protection, anti-theft, antivirus and a locking feature for the user’s sensitive applications. Moreover, it even has a feature for account privacy reporting. What about protection on the iOS platform? However, that mobile security suite is not really a part of the Bitdefender Total Security technically speaking. If the user successfully installs the iOS protection on his/her iPad or iPhone, the installation does not use up of the user’s Bitdefender licenses. Because the company’s iOS security product doesn’t do much in the first place. 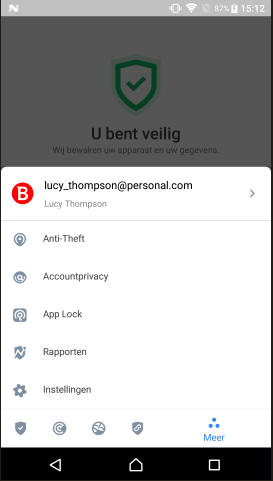 Pretty similar to how the application works on the Android platform, the official Bitdefender iOS app also has a connection to a free VPN service built right into the app. All users are eligible to use the VPN service for a total of 200 MB each day. However, Bitdefender does not allow the user to choose a server. The user has to show a bit of contentment and work with the server that the official app has selected for the user. Things change a bit for users who pay for the app. Users who have dolled out some cash for the premium VPN service, they can select the country of their choice for their Vpn server and also use the Bitdefender VPN service for as long as and as much as they want. There are no bandwidth limits either. 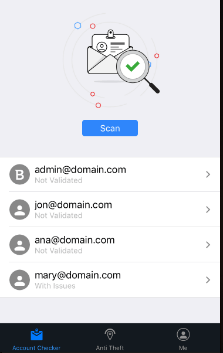 The Bitdefender iOS app offers users the same reasonably modern Account Privacy feature which users can find on the Android platform. Additionally, it also offers a similar looking set of anti-theft abilities. Unfortunately, here too the user cannot configure the app to sound a loud alarm the same way they can on the Android platform. However, users still get the option of logging to the Bitdefender Central online console and then locate, wipe or lock their Internet-enabled device. Our research out in the world also shows that Bitdefender actually reported the location of the device to the Bitdefender Central online console upon completion of the installation process. It did not do so after the fact. Some users may face problems when they take their device to another location and try to locate the device via the online Bitdefender Central. Our research shows that Bitdefender and sometimes through an error message which informs the user that the company is working hard to locate the user’s device. In the same message, the company also states that it will notify the user when the user’s device location is found and available. However, in reality, users should not expect Bitdefender Central to send any kind of notification to them. 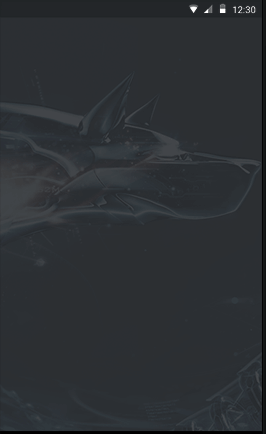 Moreover, changing one’s own physical location is not going to help either as Bitdefender Central would still show the user the same error message. Pretty similar to this, the Lock command on the iOS platform did not have any effect either. The thing is, the iPad already has a feature where it locks after one minute automatically. So the user has to disable that feature in order to truly know if this feature works or not. The same is the case with any other iOS device that has an active default lock setting. It is because of such incompatibilities that we think that remote Bitdefender Total Security lock command is somewhat valuable to users only in the less-than-a-minute time frame before the device’s own auto-lock finally kicks in. Moreover, our research also shows that it doesn’t perform as well as it should in the real world. However, readers should also take into account the fact that the iOS mobile security suite is not really a feature of the paid Bitdefender Total Security. And it does not consume one of the user’s Bitdefender licenses. The free app is able to manage the iOS devices for the user. So if the user does not have any need to managing or protecting his/her iOS devices, he/she isn’t losing out on anything but not making use of the Bitdefender iOS mobile security suite. We have already mentioned at the start of the review that Bitdefender Central is the location that users need to be at if they want to extend their Bitdefender protection to new Internet-enabled devices. As indicated earlier as well, readers should think of Bitdefender Central as the primary place they have to go to if they want to locate their lost device. This is also the place where they can activate various anti-theft security features. However, Bitdefender Central has more to offer to users who dare to look a bit deeper. The only problem is that, it is hard to ascertain which feature is available on which platform. Some features are platform-specific and this is something that Bitdefender is going to have to fix if it wants to climb up the rankings of the best security suite for the money a bit further and open up a bigger gap between it and its competitors. Let’s go over to how users are supposed to make the best use of the Bitdefender Central component. Firstly, the user should choose a Windows internet-enabled device that is shown in the console. Once the user does that, Bitdefender Central should show the user a total of five tabs. We have already said much about the Anti-theft security features. Moving on to the Dashboard feature, it is the default tab which has the responsibility of displaying statistics on the threats which Bitdefender may have blocked in any given week. Not only that, this tab also shows the user some more details like the internet-enabled device’s MAC address. In addition to that, there are the vendor details as well the as information on device type. Coming to the Protection tab, users have the option of viewing various different results from the last performed full or quick scan for viruses and malware. The users also have the option of launching any given scan via remote means. No one needs any explanation as to why and where the remote scanning feature would come in handy. But in any case, it should provide a lot of benefit to those users who have to manage internet-enabled devices for a family member that isn’t necessarily a techie. In a similar way, there is the Optimizer tab which has the responsibility of showing the user the exact results of the last optimizer scan and startup optimizer scan. Users can take advantage of this feature and remotely optimize his/her Windows system. There is also a facility there for remotely managing various startup items. Bitdefender Central also furnishes users with a Vulnerability page. This is the place from where users can confidently launch a new vulnerability scan. 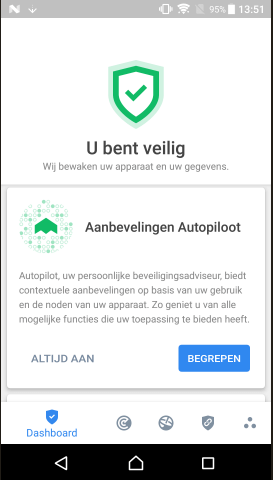 Whenever the user selects an internet-enabled Android device, the online console offers users the same information on the Dashboard in addition to the Anti-Theft and Protection tabs. However, it offers just a single scan. It makes no difference between the full and quick scan. Bitdefender Total Security subscribers can launch a new scan or view all the latest results remotely as well. As for the device that is running on the macOS platform, it only gets access to the Protection and Dashboard tabs. There are options available to macOS users to run either a full or a quick scan. But what about the Anti-Theft feature for Macs? That is a feature for Windows and Android people. Things change a little bit for the iOS devices in the sense that iOS users have access to the Anti-Theft and Dashboard features. But the Dashboard feature is pretty useless on an iOS device since it always reports to the user that it has blocked no threats in the past week. It is understandable because Bitdefender on the iOS platform has no anti-malware component. This is in stark contrast to the security suite that Webroot SecureAnywhere offers to users. Webroot has a similar looking dashboard but it provides users with the ability to remotely review all the relevant scan results. Moreover, users can also review recent virus/malware detections. In addition to that, Webroot also furnishes the user with a complete set of useful remote commands. Users can easily launch a system optimization scan, cleanup scan or malware scan via remote methods. If that wasn’t enough already then Webroot also allows users to lock, shut down and/or restart their protected device remotely. With that said, Webroot and its ilk do not offer users the anti-theft component on desktop machines. They are mobile-only, in other words. And while mentioning Webroot perhaps we should also talk about Kaspersky. Kaspersky offers users the My Kaspersky dashboard which the company associated with the official Kaspersky Security Cloud. The service enables users to manage their devices as well as their licenses and also configure parental control features along with other conveniences like the ability to log into Kaspersky password manager data. However, even Kaspersky is not perfect. It’s My Kaspersky dashboard does not allow users to have any remote scan options. This is an area where Bitdefender has the clear lead on Kaspersky. Users have the option of setting up a, kind of, trust relationship which allows McAfee installations not only check but also change each other’s current configurations. However, that is also restricted to devices which are connected to the same network. In other words, Bitdefender really has an outstanding program in providing users with the ability to control and monitor security remotely on their devices. After everything is said and done, the fact is Bitdefender Antivirus Plus can show everybody all the awards it has managed to win from independent labs. Not only that, our research shows that there is not a web-based malware test that Bitdefender cannot ace. Ransomware protection which is multi-layered. A parental control system which is fully functional and cross-platform. 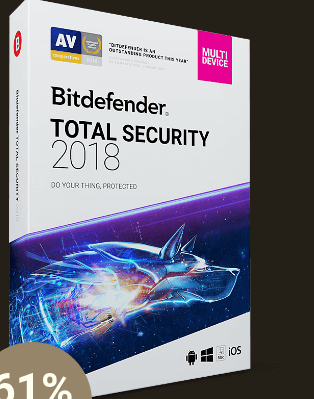 Readers should have no doubt about the fact that Bitdefender Total Security is truly top of the line best-in-class security suite from Bitdefender. Users who are on the Windows platform takes things even further by adding an anti-theft and system tune-up feature. The Bitdefender Total Security suite further extends the impressive features it offers to users to the Android and Mac OS devices. Bitdefender even has the confidence to offer up the free and official Bitdefender protection to iOS users without any strings attached. Though we have explained all the problems that come with that. Bitdefender Total Security has a humongous collection of useful and working security features. Our research shows that almost each one of them is top notch. That is the reason Bitdefender Total Security suite is not only our number one mega-suite but also the internet’s (probably?). With that said, we will add that users who want to aim for full and complete protection for an unlimited number of their internet-enabled devices and that too on any given platform, they should probably consider the very good Norton Security Premium from Symantec. As far as cross-platform and multi-device online security is concerned, Norton is pretty much equal to Bitdefender Total Security. Overall though, Bitdefender Total Security is the king.